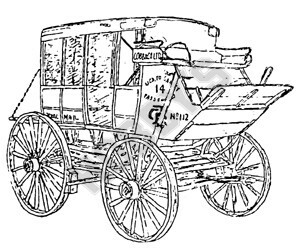 The Cobb & Co stage lines carried the Royal Mail into the outback, and were equivalent to the Wells Fargo service in the U.S.A, even using much the same design of coach. The plan is very clear and detailed. The distinctive feature of coaches designed for rough trails was the suspension on the leather straps rather than steel springs.